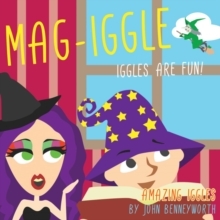 Readers are quickly amused as Magi-Iggle uses magic potions and spells to help his mother-in-law, Myst-Iggle, who mixes everything up and creates chaos. Myst-Iggle finds herself flying on her broomstick with her magic cat, a vegetarian creature that will only eat daffodil sandwiches and spinach pie with green custard. As they zoom around on Myst-Iggle's broomstick, the greedy cat becomes very `broomsick'. Trying to cure the cat, Myst-Iggle finds a potion, but she muddles up the magic words. However all is not lost as Mag-Iggle comes to the rescue. 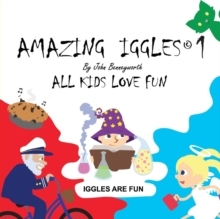 AMAZING IGGLES is a series of short stories that use repetition to explore language and speech. 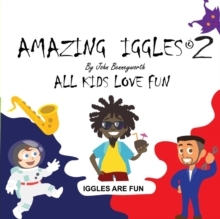 Each book contains colourful illustrations that will captivate young readers attention. 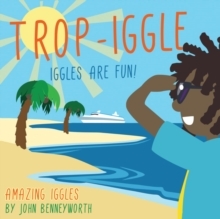 John Benneyworth has created eight additional characters, including Mus-Iggle, Naut-Iggle and Phys-Iggle, and has a further 25 books planned for his new series, which will appeal to readers aged 3 years and over.